EAST: The four daughters of the King were each given land to prove themselves worthy of being selected as the heir to the entire kingdom. When munchkins start turning up dead, Indy- Queen of the East, knows that she has to do something drastic. Swallowing her pride, Indy approaches the only man for the job. He is one badass, sexed up, tattooed, six-ft-four piece of man meat that they call Scarecrow. NORTH: Sent to rule over the Lion-shifters, Mombi- Queen of the North, knows that she will never truly be accepted as one of their own. What is worse, Jake- the Lion King, is missing, and rumor is that he left because of her. The pride is now under Dorothy's control. SOUTH: Prince Gregory has been sneaking into the Emerald City and pretending to be the ‘great and powerful Oz.’ His real intention is to be near Glinda- Queen of the South, whom he has loved since he was a child. But true love doesn’t seem to follow the yellow brick road. Will these two ever have a chance when her sisters hate everything about him? WEST: Elphaba- Queen of the West, has had just enough of Steele’s lies and games. The immortal broke her heart once, and it won’t happen again. His name might be Steele, but he’s nothing but a heartless Tin Man. And she is one queen that won’t be melting at his feet. The new girl, Dorothy, must die. Don't be fooled by her pigtails and sparkly stolen shoes. 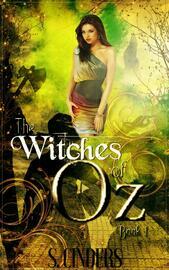 She's a killer, who has been wreaking havoc in the land of Oz. The four Witch Queens must come together to defeat Dorothy once and for all and discover where each of their destinies lies. Perfect for readers of paranormal, fantasy, shifter, and contemporary romance. There is no cliff-hanger and each story ends with an HEA. Note to readers: These fairy tales are for adults only.